What if Mandela Held Out? 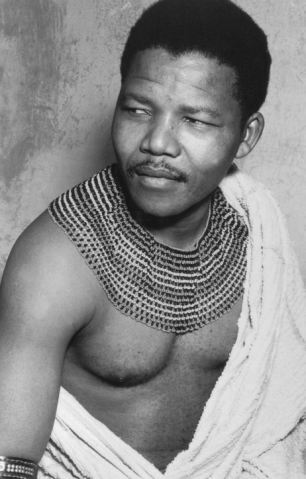 His body wasn’t even cold when the well rehearsed talking heads were proclaiming the great achievement of Nelson Mandela: forgiving the oppressors of the people. Not defeating the oppressors, not mobilizing the oppressed and their supporters around the world, not organizing an underground paramilitary organization to bring down apartheid using – you guessed it – acts of terror, in coordination with global political maneuvering. Ruling classes prefer to marginalize or, if necessary, extinguish the opposition; but sometimes they lose, and so they petition for forgiveness – not redemption. Redemption would mean spelling out what they had done, agreeing that they had committed crimes against humanity and then coming to a commensurate settlement that provides a solid foundation for reversing what they did. That didn’t happen in South Africa. Not only did they avoid redemption, they secured their positions of wealth and dominance in South African society, making sure that the costs of settlement would be less than minimal. How did they do that? How come the African National Congress (ANC) – Mandela’s victorious political party – didn’t impose huge demands for sustainable rural development, for labor rights, public transportation and universal education and health? Instead, a deal was made. Black junior partners were welcomed into the ruling class. We might never know how the deal was done: The rulers were pretty clever, and those selling out are pretty quiet. Did Mandela cave? Was he swindled? Did his colleagues let him down just when victory was in reach? One thing’s for sure: The South African ruling class is a crafty bunch. The ANC had announced that the boycott isn’t over until several fundamental gains were solidly in place? What if the white population, trembling in their boots and fearing almost divine retribution, were told, “Your safety is assured” (It already was. They still had almost all the guns) “but it’s going to cost you with a new rather shockingly progressive income/asset tax.” Instead of some ANC leaders offering themselves for sale, they should have gone out and bought off the nut cases presiding over the bantustans (compliant black leadership in the colonial areas set up under apartheid). A real transformation in South Africa would have changed the course of history in Africa.